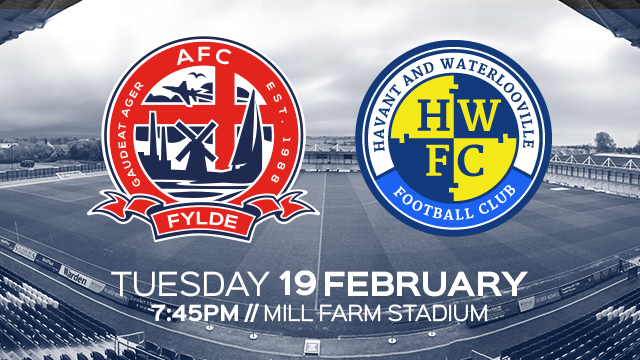 AFC Fylde’s fixture with Havant & Waterlooville has now been confirmed as taking place on Tuesday 19th February, kicking of 7.45pm at Mill Farm. The fixture is being rearranged as a result of the Coasters having to play an FA Trophy Third Round replay on the 12th February, when the game was first rescheduled for. All original tickets purchased for this game will remain valid, however, should you have any concerns around arrangements, please contact the club. To purchase your tickets for this fixture, please click here.